Crusader Nomad hammock and basha. 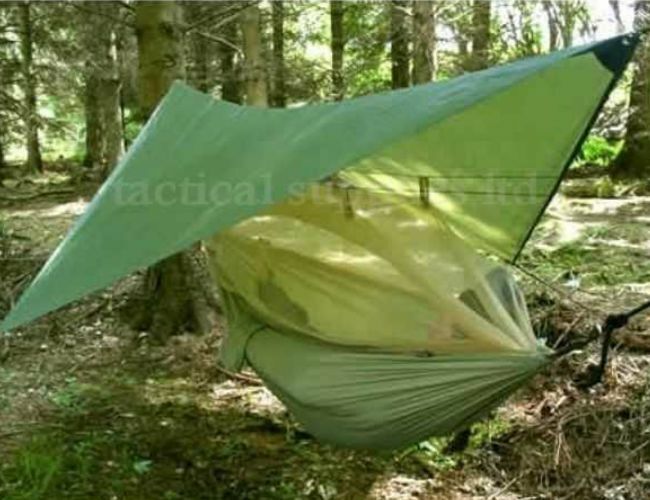 The Nomad Hammock is light and simple to assemble.It is great for bush-craft and hiking if you want lightweight travel. 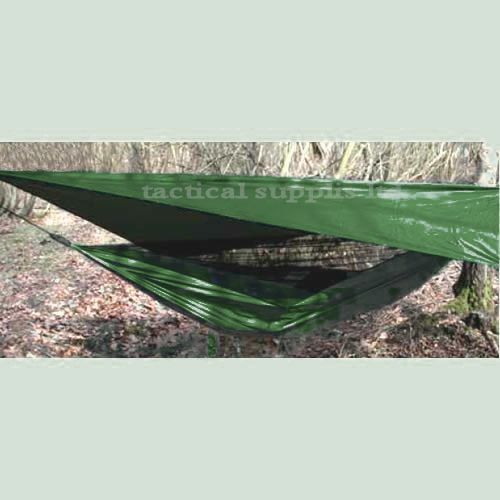 It comes as a lightweight hammock with mosquito net and waterproof flysheet .It will keep you dry ,midge free and of course you are off the ground. Also has pockets and a stuff sack.